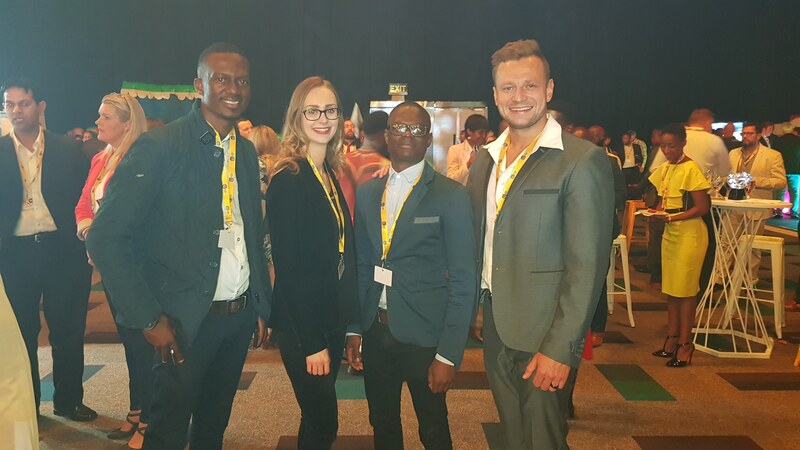 AtCampus, a mobile app that enables students to list and sell items such as textbooks and electronics, was selected as one of three finalists in the Incubated Solution category at the recent MTN Business App of the Year Awards. The 7th annual MTN Business App of the Year Awards received over 700 applications, after which three finalists were selected in each category. The awards ceremony celebrated the apps of innovators and entrepreneurs across sectors. AtCampus [http://www.atcampus.co.za] is one of the companies currently incubated by TuksNovation, a technology incubator and accelerator located at the University of Pretoria (UP). AtCampus is an app for students that offer one-click access to unlimited deals and opportunities such as accommodation, student part-time jobs and internships, and buying and selling items such as textbooks, stationery, electronic gadgets and homeware. It provides users with access to an online student community to save and make money, find and share opportunities. TuksNovation is a technology business incubator and accelerator founded by UP in partnership with the Department of Trade and Industry and the Department of Small Business through its Small Enterprise Development Agency. TuksNovation provides business incubation and product development services to commercialise technology into sustainable enterprises with social and economic impact in South Africa. The incubator supports technologies that are developed by the university’s students, academic staff and alumni. By identifying and supporting promising early stage innovations, TuksNovation lowers the risk of the technology development and commercialisation stages for both the innovators as well as investors. From access to mentorship and bespoke training by leading industry and academic experts to product prototyping facilities, TuksNovation helps tech entrepreneurs navigate the journey of starting, building and growing a business.